GVS has a full line of managed storage from entry to enterprise level. Configured for mission critical operations, the Metropolis Servers offer the latest fail-safe features and unparalleled data availability. 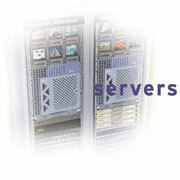 The Metropolis Advantage: GVS’ mid to high-end servers offer unique advantages to workgroups by accelerating their workflow, vastly increasing their productivity, greatly reducing their down-time, and enabling easier collaboration in to building private clouds and for service providers that are building public clouds. GVS’ M2S2 solutions have all the benefits/availability of the SAN and NAS topologies while introducing and integrating new technologies which allow lower cost, more flexible upgrades and client additions (no need to spend more to add), and intuitive, secure system administration and management. Best of all, the M2S2 solution can integrate with your legacy server; so you can continue to utilize your current investments . Well suited for up to 250+ concurrent network clients, M2S2 is ideal for applications such as cloud, rendering, video serving, and IP multi-casting, and is perfect for ‘power hungry applications that require constant data access with applaudable power requirements. High quality video can take advantage of the versatility, flexibility, and scalability. Application Editions are integrated into the M2S2 solution offering high availability and performance enhancements for mission critical applications such as Clouds, SAP, TV Station , Oracle, Sybase, File/Video Serving, and Web Serving. GVS’ unique MCR 10GBase -T Ethernet, and 8GBit Fiber network routing, (10Gbit/sec @ 3.2Gbit/sec data throughput), advanced admen tools (file/volume management), multi-processor architecture, server clustering options*, KVM, Node Controller, S3, Ubuntu, UEC( Ubuntu Enterprise Cloude), VM (Virtual Machine), VT (Virtualization Technology), XAPI, DomO privileged, and Hot/Swap redundancy features can accommodate your performance/availability requirements today and into the future. Backed by GVS 24/7 Support, and Training services. * Metropolis Clustering allows for proactive application-level availability management for local, private clouds, building public clouds and wide area multi-node cluster configurations for KVM, VMware and Xen. What is a cluster solution and why implement it?